Shop and Post Office stocking a wide range of products. Whether calling for coffee and a slice of home-made cake, a quick snack or a light lunch there is something to suit all tastes. This small, family-run B&B is situated in the centre of the pretty village of Ford. The Post Office is open throughout normal shop hours and the shop offers a wide range of products. The Tearoom Gallery, situated adjacent to the village shop and post office, offers the opportunity to browse and buy some of local wildlife artist Mark Irving's paintings and cards whilst enjoying delicious refreshments. A relaxed and friendly atmosphere, comfortable and well-furnished ensuite rooms, delicious home-cooked breakfast and the benefit of having a tearoom, general store, post office and off licence on the premises all makes for the perfect base to explore Ford & Etal Estates and the wider area of Northumberland and the Scottish Borders. 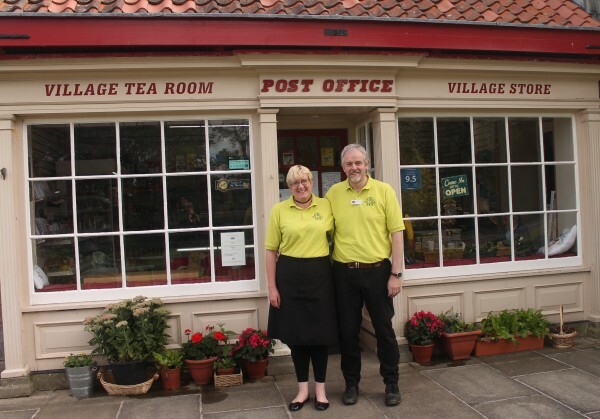 Under new management since August 2018, the Village Shop and Post Office lie at the heart of the community. The Post Office is open throughout normal shop hours and the shop offers a wide range of products, from everyday essentials to speciality tea and coffee as well as an off-licence selling a range of alcohol including locally produced beer from the nearby Cheviot Brewery.